By now you have heard about the free upgrade for PC's running Windows 7, Windows 8/8.1 for Windows 10 this summer. There is still a large installation of older versions of Windows such as Windows XP and Vista. Based on Microsoft's requirements, you would need to pay to upgrade to either Windows 7 or Windows 8 in order to qualify. Its pretty much the same if you have a computer running the Linux operating system. In this article, we take a quick look at how you can get a full copy of Windows 10 for these older older and alternative systems. First thing you need to do is to check if your system can run Windows 10. Some older PC's will just not be able to run the newer version of Windows because of hardware requirements. In some cases, its possible you will have to upgrade to an older version such as Windows 7 and stick with that. Windows 7 will be supported until January 2020. How will I know if my computer can run Windows 10? Because the Windows Reservation App which includes a compatibility checker only works on Windows 7 and Windows 8.1, you won't be able to check your programs and hardware. If you want to upgrade to Windows 10 on your PC or tablet, here’s what it takes. Also check to make sure your CPU (the brains of your computer) support certain extensions. 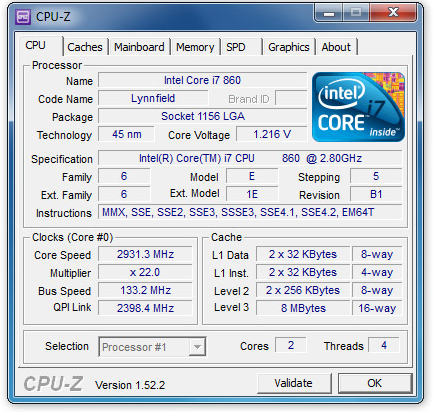 You can determine if your processor supports those extensions by using a free tool called CPU-Z. Once you have it installed, double click it and it will scan your system. Click the CPU tab and look in the Instructions field, look for the instructions set called PAE, SSE 2. If you see them, then your processor is capable. For NX, you will need to check your BIOS. If the BIOS setting for the NX (XD, EDB, or EVP) support option is not available on your system, you may need to contact the manufacturer to update the BIOS. Note that some very old processors may not contain these features and will be incompatible with Windows 8 Release Candidate. A whitepaper has been published with further details about the PAE/NX/SSE2 requirement for Windows 8, error cases and scenarios that customers encounter when machines fail to meet the requirement, and what to do to install Windows 8 on their PC’s. You can download the whitepaper at http://msdn.microsoft.com/en-us/library/windows/hardware/hh975398.aspx. If your system works out to be capable, then the next step is to get it ready to install Windows 10. Register and Migrate to Windows 10 Insider Preview Now! If you don’t have your Microsoft Account (MSA) connected to your PC, starting in the next build you’ll start seeing notifications asking you to do so. You’ll need to connect the MSA that you registered for the Windows Insider Program with (and accepted the “Microsoft Windows Insider Program Agreement”) in order to continue receiving new Windows 10 Insider Preview builds (both Fast and Slow rings) from Windows Update. If you already have your MSA connected to your account on your PC, then you’re all set. We’re introducing new infrastructure in Windows Update to help us deliver new builds more effectively to Windows Insiders, and ensure that we’re flighting builds to people who have registered and opted in to the program. Connecting your MSA also allows seamless access to Windows Insider-only functionality in the Windows Feedback app and Insider Hub too. Microsoft has noted that if you are running Windows 10 Insider Preview today, you will qualify for a full copy of the final release which you can download through Windows Update when it becomes available on July 29th. There is no guarantee if you install the Preview on or after July 29th 2015 you will still qualify. So the best thing you can do is migrate to it now. 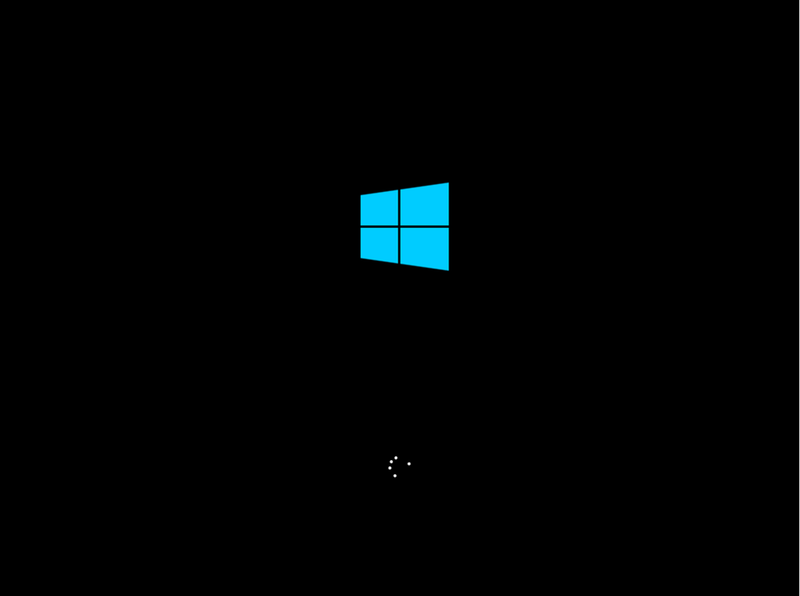 There are a number of ways to start the Windows 10 setup, but before we even do that though, we need to ensure we have our copy of Windows 10 downloaded and converted into a bootable copy. The article references Windows 7, but the same principles apply to Windows 10. Preparing the .ISO file for installation. You can also use the Microsoft USB/DVD Tool, which is recommended for Windows XP users. After obtaining the .iso file you use the Microsoft .iso to USB/DVD tool to create a bootable DVD or USB (requires a blank DVD or USB flash stick of at least 4 GB). Linux users will need to do this from a Windows based PC for the best results. Also keep in mind, the Rollback function in Windows 10 does not support custom installs, so if you decide you want to go back to Windows XP or Vista, you will have reinstall using original reinstall media. So try creating a backup of your installation if this matters to you. If you are running a Linux distribution, the process is a clean install entirely. If you have any accumulated data on the drive, make sure you back it up before you install the Windows 10 Insider Preview. Logically, .exe files do not work in Linux, so you will have to boot from the installation media. The following describes the standard way to start the installation. Once your computer is set to boot from the DVD, you should see this option. The Windows logo will appear on screen, this might be here for a while, as long as you see the indicater, everything should be ok. Even after Windows 10 is finalized for the general public, Microsoft will continue publishing revisions of Windows 10. Windows Insiders will have the option of getting these updates (automatically) unless they specify they no longer want it. These revisions will likely be unstable and unfinished. For most users unless you are an enthusiast, it is best you switch to the stable channel. You should now be running a stable final copy of Windows 10 RTM. Enjoy! What are the editions of Windows 10 available? According to the new information released here by Gabe Aul, this article is invalid. There is no "free upgrade" for XP/Vista users possible by installing the Windows build 10130, and exiting the Preview branch ("Stopping Insider builds") at RTM. The build you stop with will expire after a few months just like any other Windows Preview build. Please remove or re-purpose this article. The notion was fun while it lasted, though! Dear Microsoft, please make Windows 10 functional, pretty & intuitive, not boring, clumsy & buggy! @Techie007L . I agree with your comment, I thinik Ars Tehcnica picked up on that as well and Microsoft quicly closed the loophole ( as far as can be ascertained), The real problem is that Microsoft have a very fine balancing act on their hands so expect creases and wrinkles and total mayhem on this point. Vista doesnt qualify becuae not too long after it was obvious to MS that Vista was causing innumerable problems MS responded by offereing a free upgrade to Windows 7 ( which is a qualifying os under the current scheme). Unless I am mistaken, Windows 7 orignaly was not intnended to be a qualifying OS. addd to that, most Vista equipped hardware is probably more than 5 years old and likely does not have the neccessary cpu instruction set to support Windows 10 anyway. Just checking. When was the free upgrade to 7 offered and how was it announced? Missed it and I would have jumped in with both feet or should I say both PCs. I understand that this is all buyer beware stuff but the whole Vista, 7 (my laptop) ,8 (had one of those took it back), now 10 thing makes me want to buy a MAC. And I had Millennium. What is going on? This too much. I just read your post of frustration with the upgrades from Vista to 7, 8, and 10. I hope this didn't convince you to buy a MAC. My father in law who worked at Apple many years ago and will only use Apple computers, bought his most recent one about 4 years ago and had to go though an expensive upgrade last year for certain software to work. This year he found out that he will not be able to upgrade again since the system is outdated, and will no longer work with the new versions of software he needs to use next year like TurboTax. It seems that users of all computers, whether Windows based or MAC, are at the mercy of the OS and computer manufacturers, who will soon require users to buy new computers bi-annually. I most likely will not be able to upgrade my HP with Vista since it's over 6 years old. Time to buy a new or refurbished computer. I'm sure that is what they want, and I only use it to pay bills, check e-mail, and pay taxes. I will most likely get a $100 refurbished 10" 32G SSD computer for that.